This is one of Buxtehude's most popular keyboard pieces. It is cast in the style of a gigue and is thus similar in this aspect to his fugues, BuxWV 166 and 170. 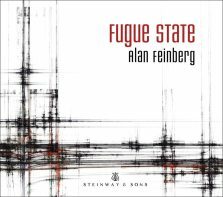 The latter two, however, feature three fugue sections each and use the gigue style in only the second fugue. This C major effort is made up of a single fugue and is thus a relatively brief work, generally lasting a bit under three minutes. Usually performed on harpsichord, the piece opens with a single line in the middle ranges that immediately conveys a lively, playful mood, the notes seeming to bounce merrily but busily along. Contrapuntal elements soon enter and the music takes on an even greater sense of joy and industriousness. About midway through, textures turn lighter and more delicate as both main lines rise into the upper register. But it is not long before the music must yield back to the more festive, rowdier manner of the opening. An almost frenzied character seizes the work in a series of fanatical, insistent repetitions near the end, but the music suddenly stops to catch its breath and the work ends quietly and serenely.